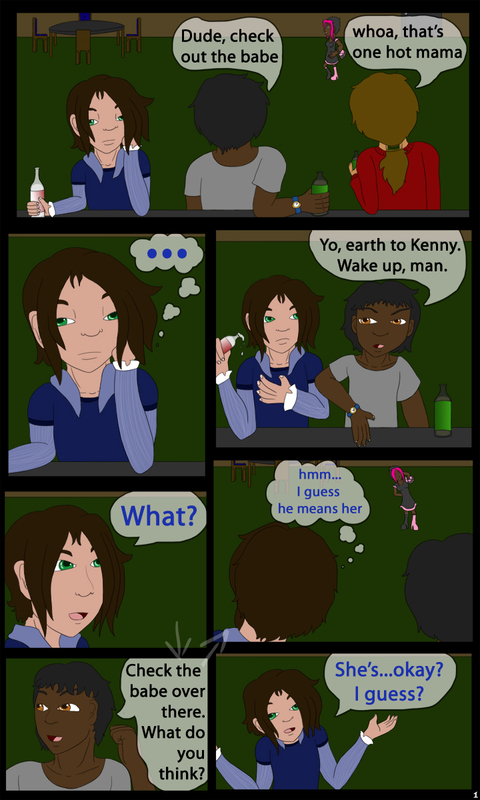 Here's page one of the short comic I shall be doing, Creating Sydney. It shall be following a average man named Kenny as he goes through a journey of self discovery with the aid of a new friend as he takes on a new life as a drag queen as well as realizing who and what he really is. I know this first page is really kinda lame, and probably the next few pages will as well until the story (hopefully) starts to pick up, but I hope you guys enjoy anyway. I worked really hard on this and I'm really proud of it. Can't wait to get more done and tell this pretty boy's story, hehe.